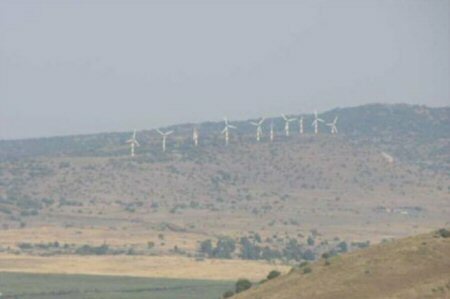 Al-Marsad has published a new legal report that investigates the implications of a recent Israeli project which proposes to develop a massive wind farm in the occupied Syrian Golan (‘Golan’). The report highlights the consequences of Israel’s latest attempt to tie itself to the Golan by stealing the region’s resources and manipulating its native population. Although the report focuses on one specific project, it identifies many of the common characteristics of settlement businesses, in the Golan, which violate international law and harm the native community immensely. According to the PNN, the report starts by exploring Energix’s project and its actions in the native Syrian community. Next, the report discusses how Energix is violating numerous principles of corporate social responsibility in advancing the project. Lastly, the report shows how the project, like the majority of Israeli sponsored business development plans in the Golan, violates fundamental principles of international law. The report concludes by identifying how the project is simply a tool for Israel to tighten its illegal grip on the Golan to profit Israelis and Israeli settlements at the expense of the local Syrian community.